Ohio University in the rolling foothills of the Appalachian Mountains is one of our oldest public institutions, founded in 1804. Located in the city of Athens, a 90-minute drive from Columbus, Ohio, the school is home to more than 18,000 undergraduates. The beautiful residential campus overlooks the Hocking River, often cited as "Harvard on the Hocking" thanks to a combination of early American period architecture, a large college green, and its colonial roots. Regularly ranked as one of the best college towns in the nation, the Athens campus intertwines with the city itself-- everything is close by and within walking distance. Students cheer on the Bobcats, the university’s athletic teams that compete in the NCAA Division I Mid-American Conference. Visitor Information: High school visit options are available Monday through Friday and most Saturdays. The visit includes a 30-minute group information session and a 90-minute campus walking tour. Transportation: The John Glenn Columbus International Airport, formerly known as the Port Columbus Airport, is approximately 80 miles from Athens, approximately an hour and a half drive and the most convenient commercial airport to Ohio University. Athens Airport Express is a private vendor offering transportation to the city by appointment, 24 hours a day, seven days a week. Stay: Book a room at Athens’ only full-service hotel, the Ohio University Inn & Conference Center within walking distance to the university. Just minutes from campus many families choose The Baymont Inn and Suites, The Holiday Inn Express or the Fairfield Inn and Suites by Marriott. Coffee: Join the students for freshly brewed Starbucks at the Front Room Coffeehouse located in the John Calhoun Baker University Center. Students steered us to Donkey Coffee, saying it is a hotspot for creative types and quality coffee—the best in Athens! Breakfast: The breakfast menu is served all day at old-school favorite Union Street Diner, open 24/7, also known as a late night haunt collegiate haunt. Another favorite spot for morning fare is fifties style Court Street Diner. For a quick bite before the tour Bagel Street Deli is a favorite with students not just for early morning bagels, but later in the day for sandwiches as well. On-Campus Dining: You’ll find Ohio University’s flagship dining venue, Latitude 39 on the first floor of Baker University Center, at the heart of campus. Students gather for quick bites, drinks, lunch, dinner and pre-game festivities—it’s a great place to mingle with Bobcats during your visit. Lunch: Look for the neon hot dog sign announcing O’Betty’s Red Hot, it’s an institution in Athens famous for cheese fries and a Dixie dog! Try one of their specialties such as the “Dixie Hubba Hubba ” topped with chili sauce, diced onions, aged cheddar, and stadium mustard. Make sure to peek in the Hot Dog Museum in the back of the restaurant with shelves lined with – yes – Weiner memorabilia! Students rave about the pizza at Avalanche Pizza, definitely known for Athens best pies, but Goodfella’s Pizza is not without its fans. It’s an all-day affair at Mexican inspired Casa Nueva, busy from breakfast through to dinner with many options for vegans and vegetarians. For quick burritos local chain Big Mama’s Burritos is also well liked. Casual: In the mood for a burger and beer; Jackie O’s is well known and well loved in Athens with what many agree is the best burger in town. A mix of Caribbean, Cuban and American, Sol has something to make everyone in your group happy. Kiser’s is the place for tasty BBQ in Athens. Sweets: Fluff Bakery serves breakfast, lunch, and dinner but its the cupcakes, brownies and they're over the top fudge cake called the “Booty Shaker,” that satisfies everyone in town’s sweet tooth. Whit’s Frozen Custard has a branch in Athens that’s incredibly popular with both locals and students. Local Attractions: Is it haunted, you decide when exploring The Ridges on campus, formerly the Athens Lunatic Asylum, a mental hospital known for lobotomy procedures, as well as various paranormal sightings-- we hear remnants of the building still give some goosebumps. Part of The Ridges has been renovated as The Kennedy Museum of Art, showcasing a variety of American artwork and known for its impressive collection of Southwest Native American textiles. Walk the Ridges Trail for some exercise, follow the Y-shaped trail that will take you to one of Athens’ most popular sites: Radar Hill, the highest point in Athens and the former site of a WW II radar defense station. Experience more of the outdoors at Hocking Hills State Park where the biggest draw is several large and spectacular waterfalls and rock formations. If you’re in town on a Wednesday or Saturday, don’t miss a visit to the farmers market, one of the largest in the state. Alternatively, check the line-up at Dairy Barn Arts Center to see if any exciting music events or art exhibitions are taking place while you’re in town. A Weekend Stay: For more great things to do take a look at Mindy Trotta’s excellent itinerary for an ideal weekend in Athens, it’s an excellent guide for more extended visits and parents weekends. Just toured the Ohio Campus? 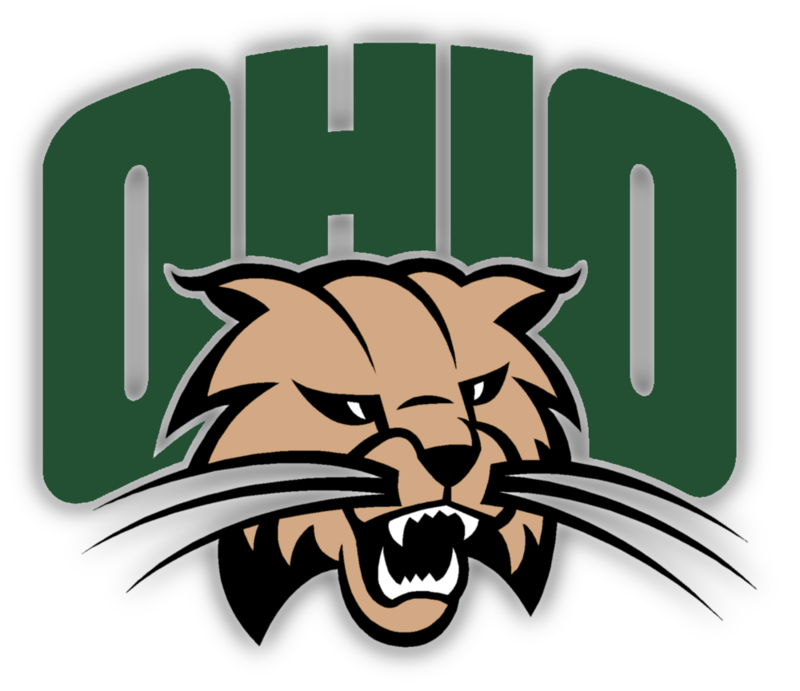 Are you a Ohio student, parent or Alumni? Fill out this 2 minute survey to supplement our Daytripper University Guide for Ohio!